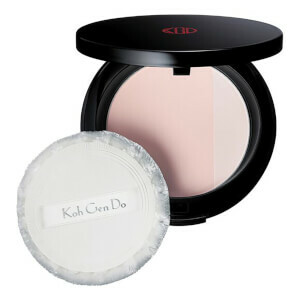 Perfect your complexion with Koh Gen Do Maifanshi Natural Lighting Powder; a weightless, finely milled setting powder to keep makeup in place around the clock. Fortified with Silk Powder, Hyaluronic Acid and Light-Diffusing Technology, the illuminating powder blends seamlessly onto skin to deliver velvety soft, natural-looking coverage and a golden glow. 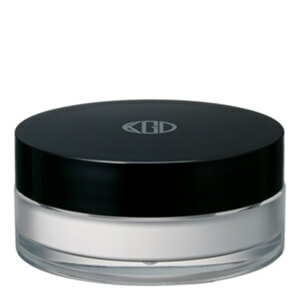 Helps to minimize shine and blur imperfections for a smooth, flawless finish. Free from gluten, parabens, artificial colors, synthetic fragrance and mineral oil derived from petroleum. Use a powder puff or brush to distribute evenly across skin. Press or lightly buff into the skin. Talc, Zinc Myristate, Mica, Titanium Dioxide, Iron Oxides, Phenoxyethanol, Silk Powder, Sodium Hyaluronate.